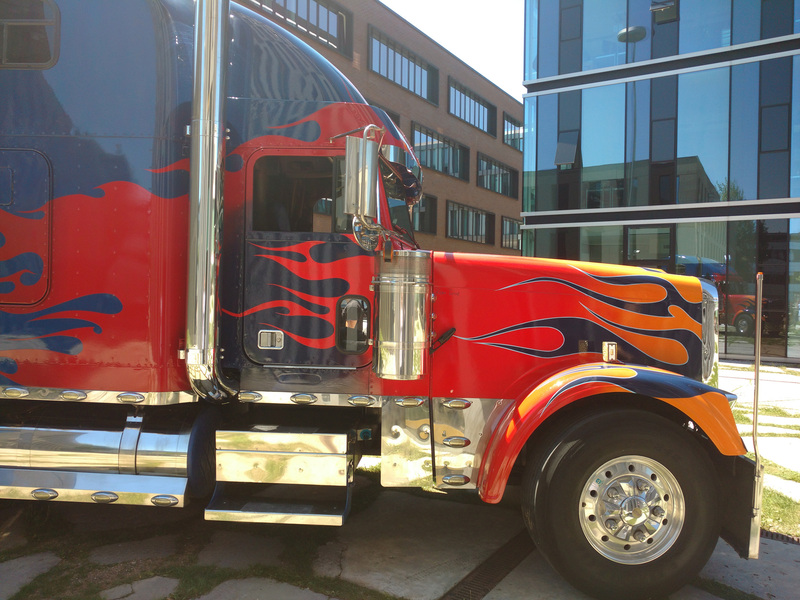 Today at lunch I was startled by an intimidating roar! Then I hardly couldn’t believe my eyes as I just saw Optimus Prime followed by Bumblebee and the Decepticon Barricade passing by!!! 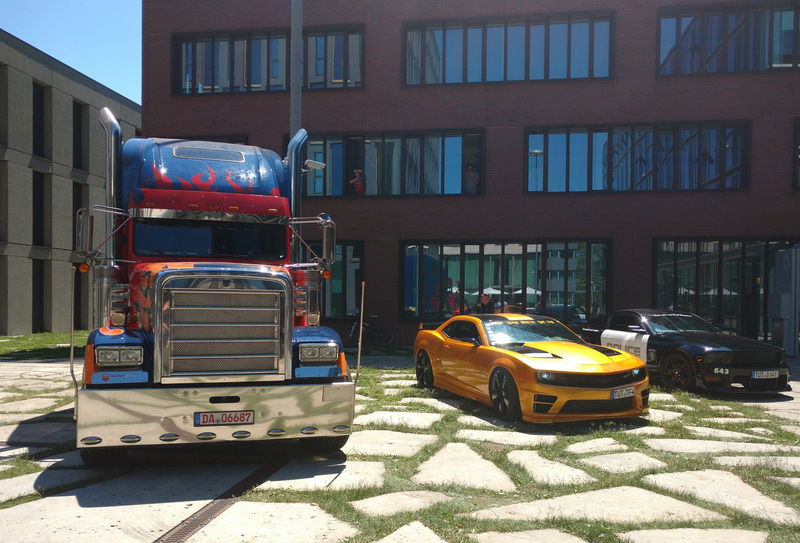 At my workplace! In Unterföhring near Munich! 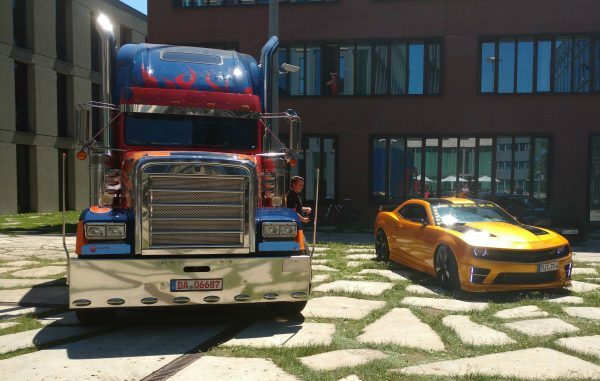 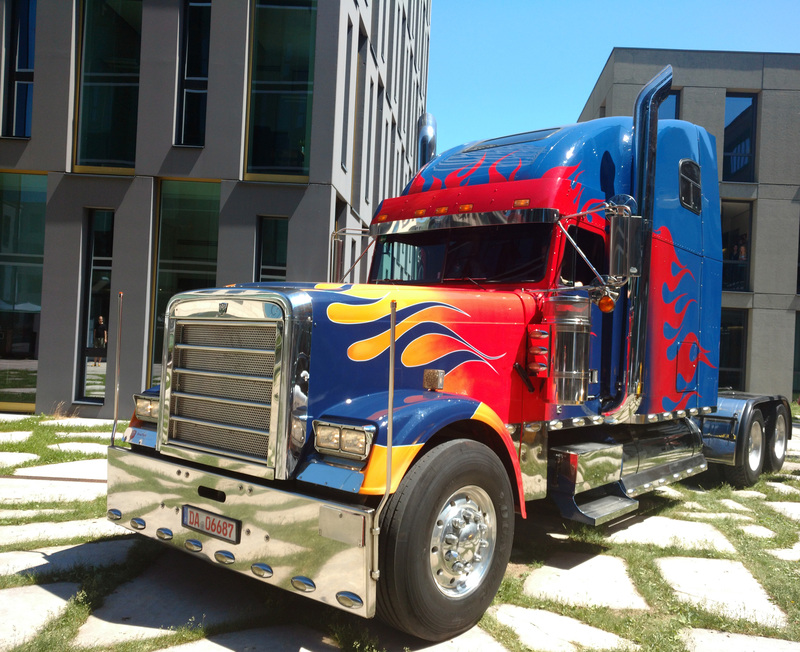 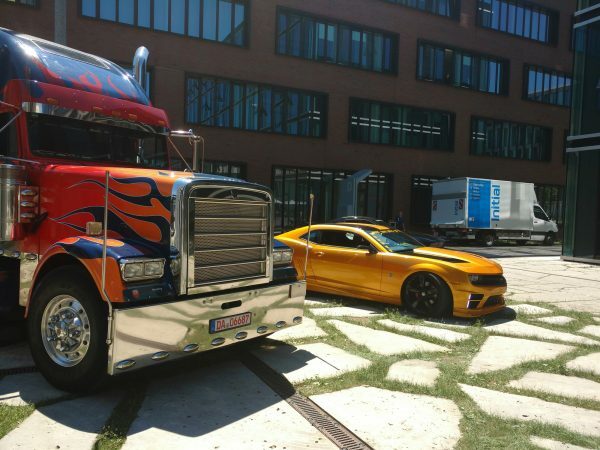 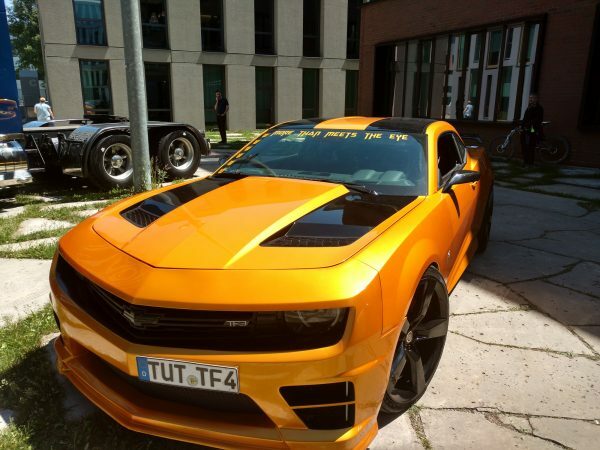 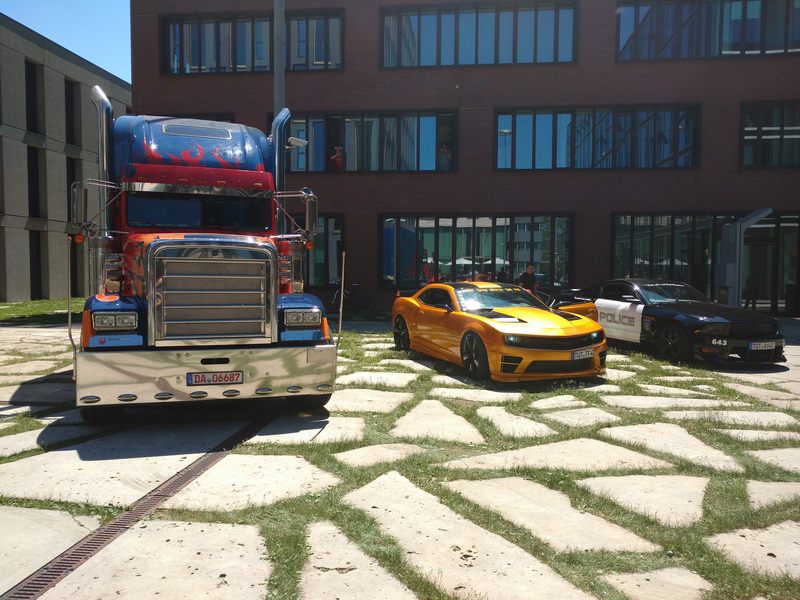 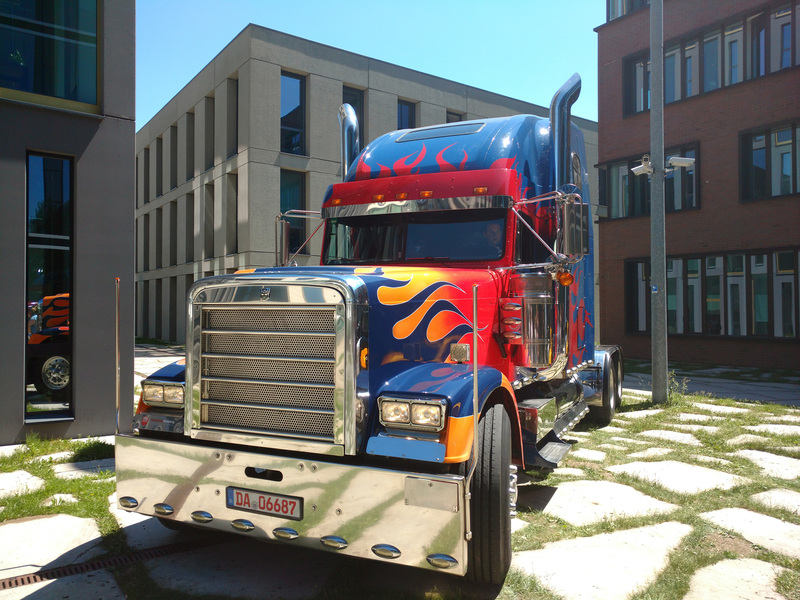 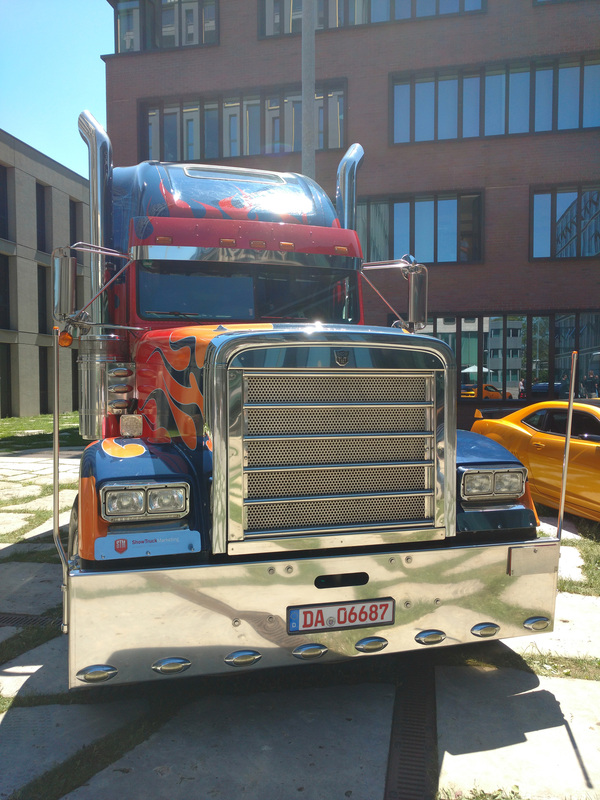 Optimus Prime in Munich, he even got german licence plates to blend in even better!